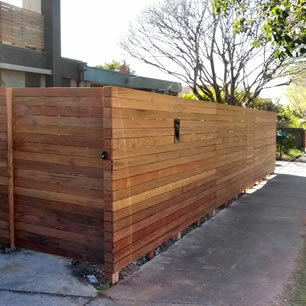 With more than 10 years as a Carpenter specialising in domestic construction, Melbourne Fencing and Decking Director Tom Eastick has a passion for well crafted projects. With qualification and experience behind us, you can be confident in our skills. We specialise in high quality fencing and decking projects, focusing on delivering a reliable and affordable service to our clients. We use only the best quality products and workmanship for our outdoor projects. Whether you have a specific vision for your project, or if you need inspiration and guidance on the design, Tom and the team at Melbourne Fencing and Decking have the expertise and experience to deliver what you envision. We will also provide guidance if there are any permits that need to be obtained as part of the construction process. During our consultation we will measure the project space and talk about size, layout, material, colour and features. We understand that your home reflects the lifestyle you enjoy living. At Melbourne Fencing and Decking we will go above and beyond to deliver the best quality product for out client. We are friendly, professional and approachable with great attention to detail. We provide detailed obligation free quotes that outline exactly what your project entails. We are based in Melbourne’s east, servicing both the eastern and south eastern suburbs and inner eastern Melbourne. With a passion for beautiful timber construction, we use the highest quality products that will ensure a long lasting feature in your home. Call us on 0430 119 555 to discuss your next project and how we can work together to bring your vision and home to life.